As Governor Lee’s school voucher proposal begins its legislative journey today, the Tennessee School Boards Association (TSBA) is out with some key facts about the bill as it is currently constructed. These facts expose the plan for what it is: A large scale transfer of public money to fund unaccountable private schools. The plan fails to significantly address fraud and fails to hold schools receiving taxpayer dollars to the same standard as our state’s traditional public schools must meet. Accountability. The accountability of participating ESA providers was a point of emphasis for many legislators. The Governor’s proposal only requires the ESA student to participate in annually administered TCAP tests for math and English language arts. There is no requirement for standardized or end-of-course testing in science, social studies, the Governor’s civics program, or the ACT, which is required in 11th grade. Public dollars will pay for education that is inconsistent with what the General Assembly has mandated of public schools. Recent emphasis on accountability has made Tennessee one of the fastest improving states in education. This ESA proposal abandons those efforts. Zoning. An eligible student must be zoned to attend an LEA with 3 or more schools among the bottom 10%. However, there is no requisite time period for the student to have been zoned in that LEA. It appears a student could move to a qualifying LEA and immediately be eligible for the ESA program. Postsecondary Funding. The bill defines a “legacy student” as a student who had graduated high school and has funds remaining in their ESA account. A legacy student can utilize the remaining funds for approved postsecondary expenses. This may create an unintended incentive for participants to minimize early education costs in order to save the funds for college. Approved Expenses. Among the approved expenditures for ESA funds are contributions to a § 529 college savings educational investment trust account. However, there is nothing in the bill that requires the student/parent to actually use the fund for college or that prohibits withdrawal from the college savings account. In theory, a parent could apply all ESA funds from K-12 (approximately $100,000) to a § 529 account, then decide not use the funds for college and pocket the money, subject to withdrawal penalties. Return to the LEA. A participating student may return to the LEA at any time, at which point, the ESA would be closed and any remaining funds returned to the state. However, there is no requirement that any balance remain in the ESA at the time of return. An ESA participant could use all disbursements up to that point (e.g. approved computer hardware or other technological devices) and return to the LEA without penalty, at which point the LEA bears the entire financial burden of educating the child for the remainder of the school year. Enrollment Limit. Enrollment is capped at 5,000 in the first year, but will triple to 15,000 by the fifth year and grow by 1,000 each year thereafter, assuming sufficient applications are submitted. The Governor plans to budget $25 million in each of the next three years to fund the anticipated first year of implementation in 2021-2022. It is difficult to image how this ESA program with a maximum enrollment could be funded in five years without significantly reducing the funds available for public education. LEA Reimbursement. The Governor’s proposal was reported to include a reimbursement model to compensate LEAs for loss of funds associated with ESAs. While the bill creates an annual grant to reimburse LEAs in the amount of BEP funds diverted to ESAs, it limits the reimbursement period to 3 years and restricts the use to school improvements. Following that 3 year period, the grant funding will go exclusively to priority schools. This begs the question, how are LEAs supposed to compensate for the loss of funding due to ESAs? There is no indication that any funding will be provided for the loss after year 3 of the program. Fraud Prevention. Other states with ESA programs have experienced rampant fraud. Some states only provide funds on a reimbursement basis after receipts are provided. The Governor’s proposal, on the other hand, requires the department to fund the ESA account at least quarterly and not on a reimbursement basis. The Department of Education is required to establish a fraud reporting service and may contract or conduct random, quarterly or annual review of accounts, but it is unclear exactly what monitoring and auditing procedures will ensure appropriate use of ESA funds. Your financial support helps make reporting education news possible. 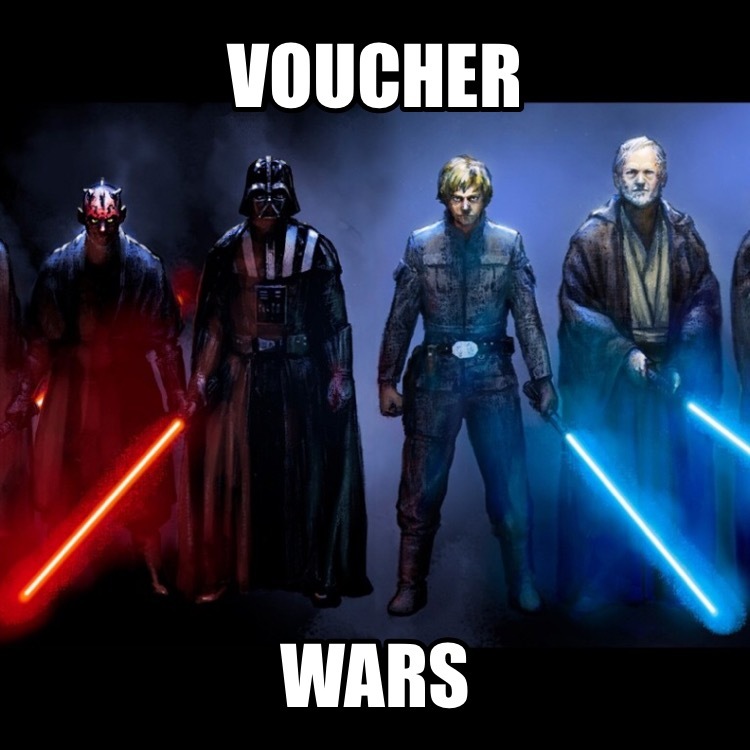 This entry was posted in Bill Lee, TSBA, Vouchers and tagged Bill Lee and Vouchers. Bookmark the permalink.